For the next fortnight, the focus of the Tennis world will be firmly fixed on the Billy Jean King National Tennis Center in Flushing Meadows. As is tradition, the vast complex based in Queens, New York, plays host to the final Grand Slam event of the year. It’s the final port of call for those looking to achieve Major Champion status within the calendar year, and on the men’s side of the draw it’s the most open it has been for quite a long while. Novak Djokovic is the man currently at the top of the ATP World Rankings, but he’ll be disappointed with a return of 1 out of 3 from the years Grand Slam’s to date. 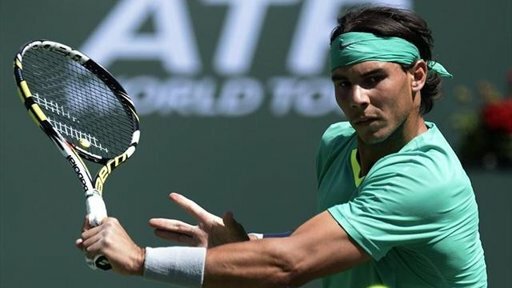 Rafael Nadal has managed to regain some sort of fitness at times this season but his stunning victory at Roland Garros has to be counterbalanced by his abysmal first round loss at Wimbledon. Andy Murray is perhaps the man coming to New York with the most momentum, the Scot defends the title he won here 12 months ago and he has since broken the British hoodoo at Wimbledon too. Then there’s the great, Roger Federer. Federer has only won 1 Grand Slam title in the past 3 years and now ranked at a lowly, by his standards, 7th in the World Rankings is his time coming to an end? The future direction of men’s tennis will look a lot clearer by the middle of September, as “The Big Four” will either once again have displayed their supremacy, or a new pretender will have emerged to sit at the game’s top table. So without further ado here is our brief look at the 10 men to keep an eye out for over the next couple of weeks. Djokovic spent much of his early career as the talented and temperamental one on the outside looking in. He undoubtedly had the talent and athleticism to reach the top, but his attitude was often questioned. Going into the Australian Open in 2011, Djokovic had won only 1 Grand Slam title (at the same venue, three years previous); since then he has won 6. Djokovic’s transformation from a steady and consistent top 10 player, to the dominant force that he now is has been sensational. During this rise, Djokovic has outlasted his opponents in epic battles on a number of occasions, and his stamina, persistence and determination are not easily matched. 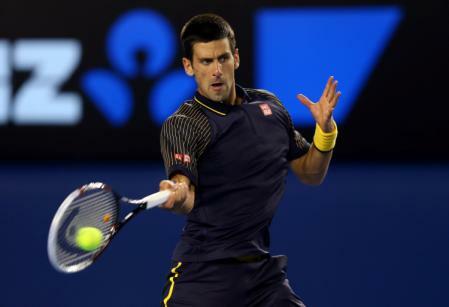 This year Djokovic has only managed 3 wins though, including yet another Australian Open title, and he will be looking to close out his year in spectacular fashion in an attempt to propel himself to a better 2014. Undoubtedly the best player in the world this year, Rafael Nadal has collected 8 tournament victories so far in 2013. This includes yet another French Open title at Roland Garros, as well as more top ranked ATP 1000 series titles than anyone else in the past 8 months. Nadal has established himself as the master of clay, winning 8 of the last 9 French Open’s, yet his hard court record could be much improved having only won this Championship once. A win in New York this time out would leave Rafa only four behind Federer’s record of 17 Grand Slam’s, a target and a legacy that would then be very much within his sights. Murray looked for a long time like being a contender for the greatest player never to win a major. 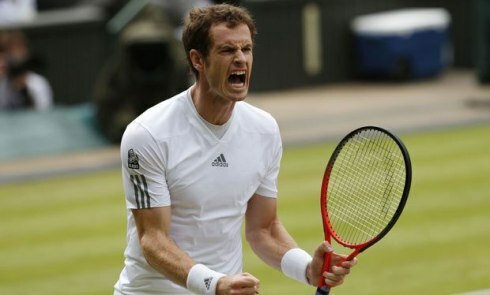 Having lost in 4 previous grand slam final’s, a switch seemed to flick in Murray after he secured the Olympic gold medal, beating Roger Federer in front of a partisan crowd at the All England Club. He followed this up with an epic 5 set victory over Djokovic in Flushing Meadows at this time last year, and in July he finally broke the 77 year hoodoo to become the first British man to reign supreme at Wimbledon. Murray has arguably more Grand Slam momentum than anyone else, and could well go all the way again this year. 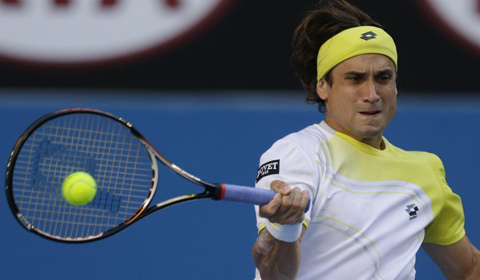 Spaniard David Ferrer is playing by far the best tennis of his career of late. In the last two months Ferrer has reached his highest ever World Ranking spots, and is having an impressively consistent season. Ferrer lost out to Novak Djokovic in 4 sets in the Semi-Finals here last year, but is more than capable of going a couple better this time around. This season, Ferrer reached the Final of the Australian Open, the Semi-Finals of the French Open, and the Quarter Finals at Wimbledon, along with wins on the ATP tour in Auckland and Buenos Aires. Off that evidence, Ferrer might just be ready to take his career to the next level. Hailing from the Czech Republic, Tomas Berdych is another man who is enjoying a career best run of form. Currently sitting at number 5 in the rankings, Berdych has developed into a significant player at the upper echelons of tennis. 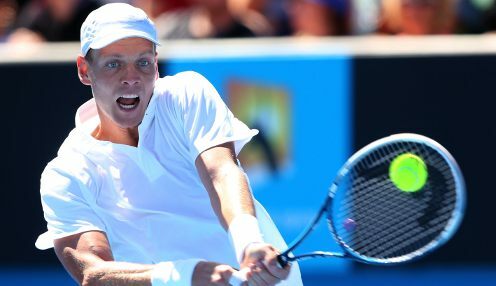 An experienced competitor with a strong serve and forehand, Berdych has claimed many a big name scalp over the years and has become one of the names the best players in the world hope to avoid. Although he hasn’t won any events on the ATP tour in 2013, Berdych has been the picture of consistency, regularly featuring at the Quarter Final and Semi Final stages. Coming off the back of upsetting Andy Murray at the Cincinnati Masters, and as another Semi-Finalist from last year, expect Berdych to leave his mark on this Major Championship. Juan Martin Del Potro has the distinction of being the only man outside of “The Big Four” to win the US Open since 2004. The 24 year old Argentinian is a prodigious talent and has already picked up 15 titles to date in his career. This year he has picked up two ATP 500 series titles, in Rotterdam and Washington respectively, yet consistency remains Del Potro’s biggest problem. Despite his immense talent, Del Potro has only advanced beyond the Quarter Finals an astonishing 3 times. If he can keep his game together for two weeks, the Argentine, will be a contender. That’s a big “if” though. 17 Grand Slam titles to his name, 5 of them from this very tournament, Roger Federer is in all likelihood the greatest male player tennis has seen. 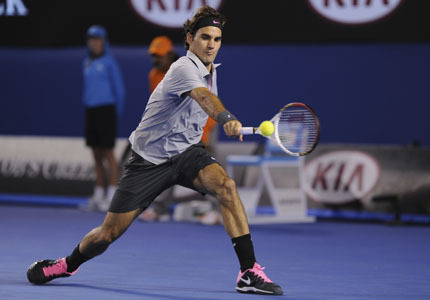 Time waits for no man though, and the picture is beginning to look a little different for the Swiss maestro. Federer has won only one tournament this year, the Gerry Weber Open in Halle. Without doubt more concerning for Federer though will be the fact that he has only lifted 1 of the last 14 Grand Slam trophies won. Federer will be looking to bounce back quickly here and prove that following the end of his 36 straight Major Quarter Finals appearances at Wimbledon, there’s still more wins in the tank. 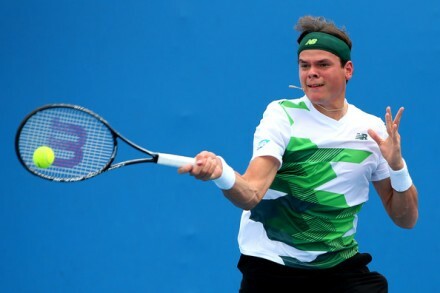 Raonic, a 22 year old Canadian of Montenegrin descent has made great strides forward this year. He broke into the world’s Top 10, following his third consecutive ATP win in San Jose and a great run at the Montreal Masters. Beating Juan Martin Del Potro and facing off against Rafael Nadal in the final in Montreal should provide the youngster with valuable experience coming into this week. Although he has yet to put a truly impressive performance together at a Slam, there is every chance it will arrive this week. It’s not too long ago that, John Isner, was the man only known for playing his part in that epic eleven hour battle with Nicolas Mahut at Wimbledon. Since being a part of the longest match in history though, Isner has improved no end. He enters his home Major, ranked 14th in the world, off the back of a season which featured 2 wins on the ATP tour (Houston and Atlanta). 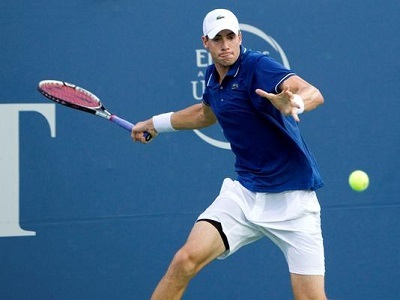 Isner, a colossal server, will have the full support of a raucous New York crowd as the leading US light and is a real danger man in this championship. 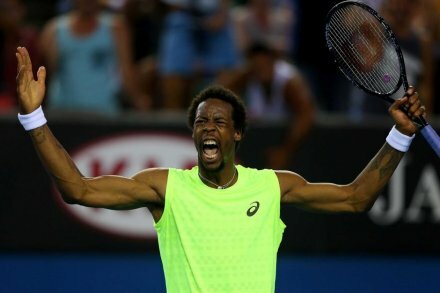 Gael Monfils is a man who has failed to live up to his potential. The former World No. 7 now finds himself ranked down in 39th place and entering Grand Slam tournaments unseeded. In spite of this he is still a talented athlete, and as a player who in the past has featured at Semi Final’s in Grand Slams, he could reappear to be a feature in a major at any time. Great summary of the main players for the US Open. Would be willing to bet my life that the winner will come from one of these mentioned. Thanks for the reblog! Look forward to reading more of your stuff.